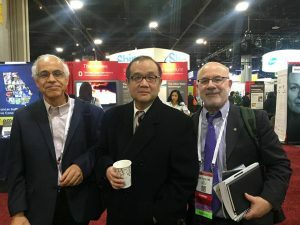 Doctors Elghtany, Liu and Corey visiting the SDSF booth. 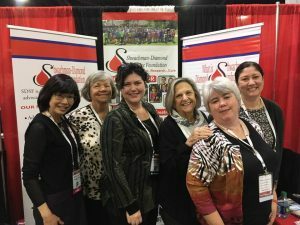 The SDSF booth at the American Society of Hematology Annual Meeting and Expo in Atlanta, GA.
Dr. Akiko Shimamura, Carol Kolar, Christine James, Joan Mowery, Pam Miller, and Dr. Ruiz-Guitterez at ASH. 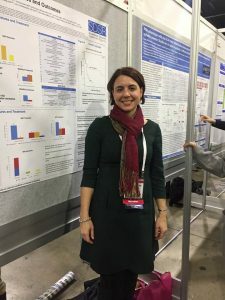 Dr. Kas Myers standing next to a poster presentation of research from the Shwachman-Diamond Syndrome Registry. 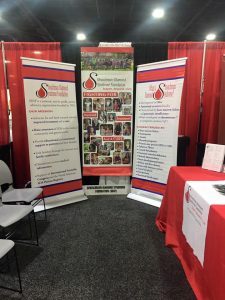 We issue a quarterly newsletter featuring the latest news & events from throughout the SDSF community. © Copyright Shwachman-Diamond Syndrome Foundation 2015. Website Design by Rebirth Studios.